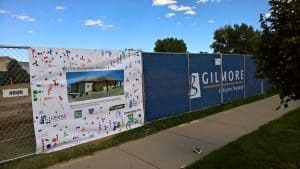 The GVR Metropolitan District has selected Gilmore Construction for the Maintenance Services/Community Garden Multi-Purpose Building. Construction has begun and is expected to be completed by Spring 2018. We will post updates of the progress as they are available.